Lake of the Woods occupies an acreage just east of Venice East Boulevard between U.S. 41 and Interstate 75, which can indeed pass as a hotspot for Venice homes for sale. 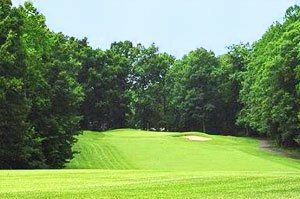 On its eastern flank spreads the neighborhoods and the greens and fairways of the Plantation Golf Country Club. As pivotal for prospective buyers of homes for sale in Lake of the Woods, the master development of the West Villages whose turf sprawls just east of the Plantation also counts as part of this area of Venice. Besides new residences, this master-planned community also notably incorporates a new town center, and it would be host to the spring training camp of the Atlanta Braves starting 2019 as well. Lake of the Woods of Jacaranda sure has charms of its own, including a wide selection of residences in two other neighborhoods—Lakes of Jacaranda and Park Estates—it shares the property with. The entire community provides a serene natural setting of water features and lush preserves cradling the residences. A clubhouse also serves the entire community for social events calendared regularly. The centerpiece for Lake of the Woods is the placid 35-acre Lake Meredith with recreational features which include biking and walking trails in its periphery. The open spaces and natural setting of this community has also become a thriving habitat for birds and wildlife, attesting to Lake of the Woods’ pristine environment. Lake of the Woods and its sister subdivisions combine for about 900 homes. Those that become available on the market are typically very well maintained and have had recent updates. Their price points, based on listings and deals from 2016 onwards, are quoted at between the $200s and the $400s. These sales listings’ typical floor plans range from 1,300 square feet up to almost 3,400 square feet designed with three to five bedrooms. Interest on comparable Venice homes for sale are likewise getting warmer at other communities flanking Lake of the Woods. These include sales listings at the Venice East subdivision, Southwood, and the community of Venetian Falls for age 55-plus residents. 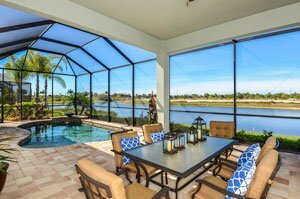 The value proposition of homes for sale in the Venice area has been drawing interest not only in new developments but also well-established ones like Lake of the Woods of Jacaranda. Owing to Venice parcels being cheaper than those in north Sarasota, developers, by one estimate, are able to offer homes for sale in Venice which are about $80,000 below similar-sized residences in the north. 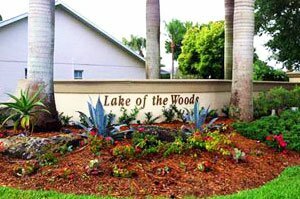 Additionally, Lake of the Woods draws buying interest with its low HOA fees that cover maintenance of the community’s common areas, the clubhouse, swimming pool and tennis courts. Proximity to Interstate 75 and U.S, 41 also put the local residents just minutes away from various life and leisure centers including golf and country clubs, Gulf Coast beaches, schools, shopping centers and healthcare facilities. Below are the current real estate listings available at Lake of the Woods.